Sweat for the Good Stuff is a community initiative that enables you to give back to yourself while also giving back to the world. We collaborate with local businesses around Australia and create bespoke events infused with yoga, mindfulness and community. Through these events we raise funds for local programs that are tackling social isolation. We also work directly with marginalised and socially isolated members of society through our Lovesweats community programs. The very special Emily Xanthe Warnock Luke (@em_luke_yoga) is back for our April session! Expect fun flowing beats and yoga sequencing that will leave you refreshed, relaxed and bursting with good vibes. This will be the final session (until spring comes around again!). We're celebrating with a cosy, earthy vinyasa flow, mellow tunes and warming post-sesh treats. More details to be announced soon! Ticket $25 (+bf). Profits from the event support our community initiatives. The March session was led by Gemma Mills from Wellness at Work Collective. Our first sesh at The Grounds for 2019 was led by the amazing Kat Clayton from Yoga Beyond Borders. Video coming soon! A silly season special with vinyasa led by Christian Ralston (@christianralston Christian Ralston Yoga, Movement & Music) and meditation led by Lovesweats founder - Steph Scott. Thanks to everyone who joined us for Sweat for the Good Stuff in May. All of our beautiful yogis who postponed Netflix/the warmth of your bed in order to flow with us, to our incredible teacher Rachael Coopes, our friends at GoodnessMe Box for the treats, Nimbus & Co for your delicious smelling doTERRA Australia oils, UNIT NINE for the beautiful mats, and last but definitely not least, the v special team at The Grounds of Alexandria. Endless thanks for your amazing space, the magic you create in it and the community you connect 100% of profits from the event will be used to support community programs that target the issue of social isolation in Australia. More details (and photos) to come so stay tuned! An evening of vinyasa yoga, meditation and healthy treats. Thanks to everyone who joined us in The Grounds garden in April. Special thanks to our wonderful teacher Emily Luke, Unit Nine for the mats, GoodnessMe for the treats and our amazing venue partner - The Grounds of Alexandria. 100% of profits from the evening will be used to support upcoming community programs. This was our very first year of Sweat for the Good Stuff. 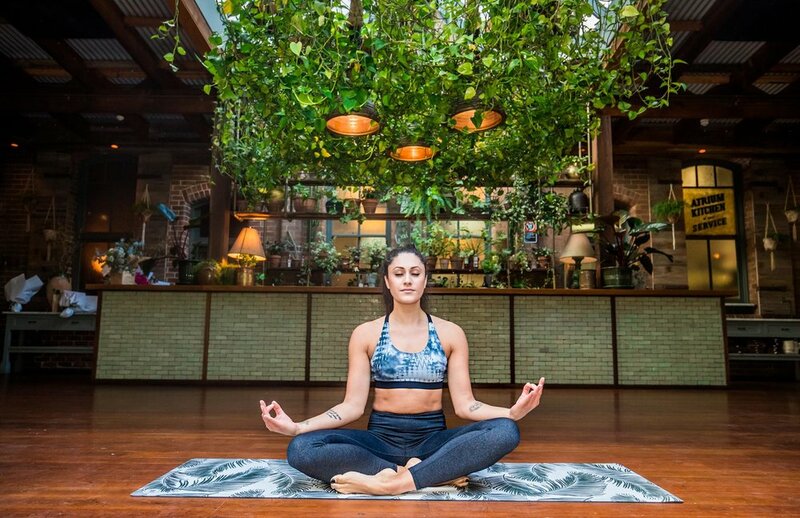 We partnered with some amazingly generous venues to run weekly yoga classes at their locations. Through these classes we raised funds for local NFP organisations who deliver programs and services to people experiencing social isolation and marginalisation. This included mental health surf therapy, support services for the homeless, yoga programs for vulnerable communities, research support for suicide prevention; and school programs that smash the stigma around mental illness. This legend 👉🏻 @charliesweeney_ created this vid of our launch in The Clothing Store at Carriageworks. 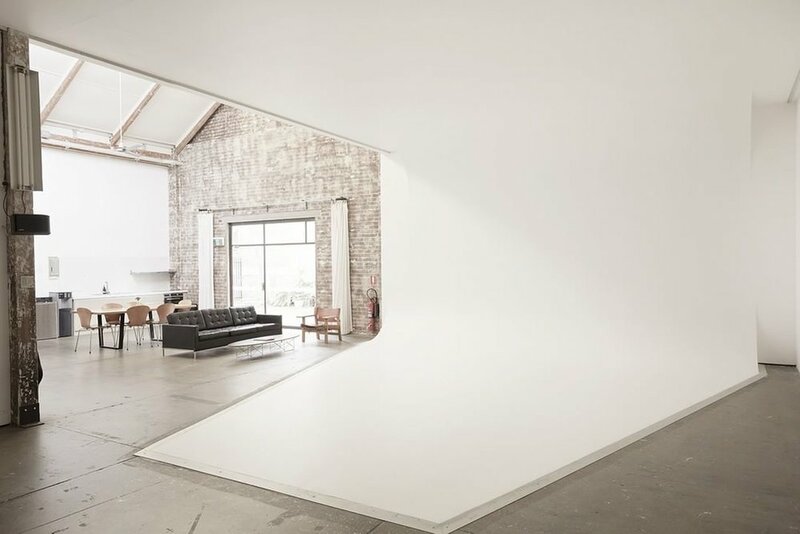 This space was built in 1913 and is part of the historic Eveleigh Railway Workshops. The workers used to get fitted for their uniforms here! This year @carriageworks have reopened the space as a collaborative community and arts facility. In recognition of R U OK? Day, we hosted an extra special Sweat for the Good Stuff evening at The Tribe in Darlinghurst. Kicking off at 6pm with a one-hour self-care inspired yoga sesh led by The Tribe's Sweat for the Good Stuff teacher - Phoebe Jones - treated everyone to to a blend of slow vinyasa flow and yin peppered with mini massages and chilled out beats. Then health coach and mental health advocate, Stef Jung (@wholesomestef), guided everyone through a journaling mediation and finished with a couple of R U OK inspired activities. All profits raised will go to R U OK, a suicide prevention charity in Australia, reminding people that having meaningful conversation with mates and loved ones could save lives. If you're keen to become a SFGS host or teacher, please register your interest below.